09/04/09 A175. 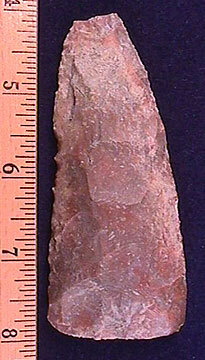 (A163) Archaic blade, 3 7\8", found by Cliff Duvall in Marion Co., FL, riverstained Coastal chert, well made, nice big blade, ancient tip damage, $20. 05/21/09 A176. 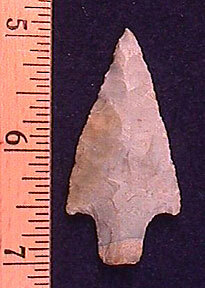 (A165) Pickwick, 2 1\16" TN, hornstone, symmetric and extremely well made, $19.